Rattlesnake more than 9 feet long and nearly 100 pounds-Unproven! - Truth or Fiction? Rattlesnake more than 9 feet long and nearly 100 pounds-Unproven! Picture of Rattlesnake-More than 9 Feet Long and Weighing Nearly 100 Pounds-Unproven! 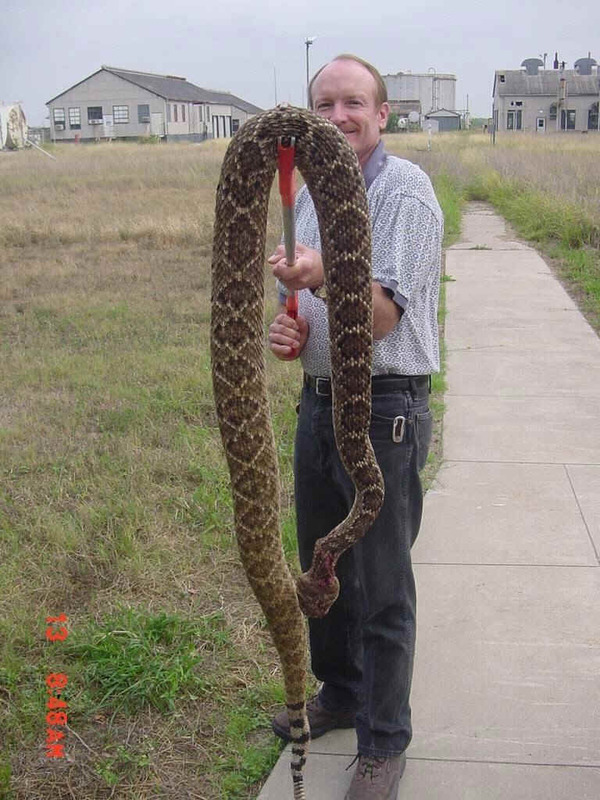 A picture of what appears to be a large rattlesnake said to have been found near Medicine Lodge, Kansas. Other versions say it was found near Amarillo, Texas. We’ve not found a source or confirmation of the picture, but it appears to be a fabrication. We’ve received versions that claim the picture is from both Kansas and Texas. All of them also allege that the snake was 9 feet 1 inch long and weighed 97 pounds. 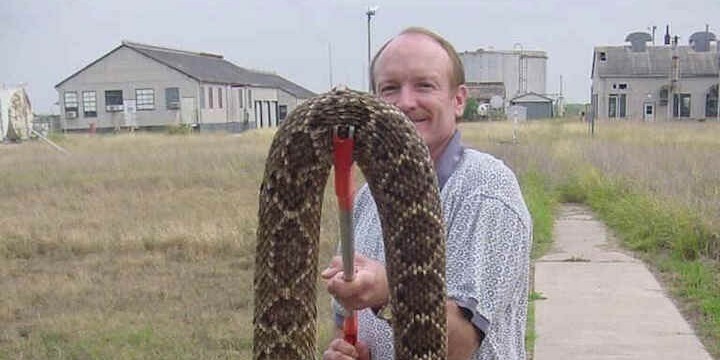 The picture itself is one of a rattle snake that has been positioned well in front of the man holding it and close enough to the lens of the camera to make it appear larger than life. It’s doubtful that a 97 pound rattlesnake could be held as effortlessly as depicted in the picture. This might make me move a little faster!!! 9 feet, 1 inch – 97 lbs. – found in Medicine Lodge Kansas . Next time you’re out in the tall grass, remember this one. Highway 160 near Medicine Lodge. Sometimes they should get not only prescriptive rights to be there but the full right of way! 9 feet, 1 inch – 97 lbs. Mix dry ingredients. Whisk milk into beaten egg and use to dip snake steaks. Yum,Yum! It sorta tastes like chicken. Barack Obama Reading Post-American World-Truth! & Fiction! Labor Union Tells Supporters to Vote For U.S. Flag Ban on Fox News Poll-Fiction!